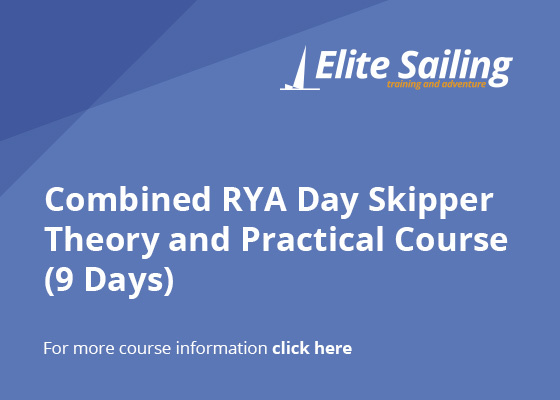 For the ultimate in cost-effectiveness this Combined RYA Day Skipper Theory and Practical course requires just 9 days in total – starting on a Saturday and finishing on the Sunday a week later. 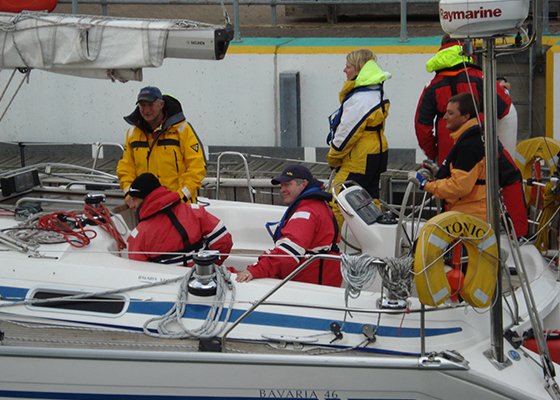 It covers all the theory and practical training for day skipper in a single intensive package. It allows you to get the training done in the shortest and most efficient manner and requires only 5 weekdays off work. The first 4 days are spent in the classroom. 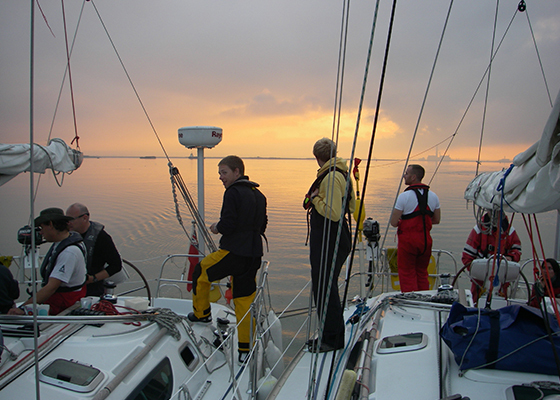 At the end of the class on the Tuesday you join the yacht for the 5 days of practical training that runs until the following Sunday. 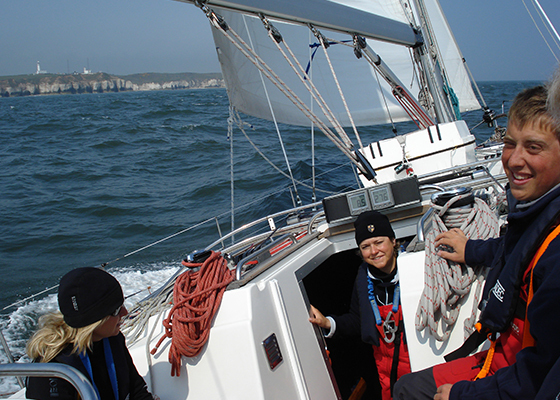 On the practical course you will sail away from Chatham, visit a variety of harbours and anchorages and return on the final Sunday. Depending on progress one or both of the test papers for the theory element may be completed on the Tuesday afternoon, during the practical course – or possibly in the afternoon immediately following the practical. So you should be prepared to stay on at Chatham until about 1700 on the final Sunday. 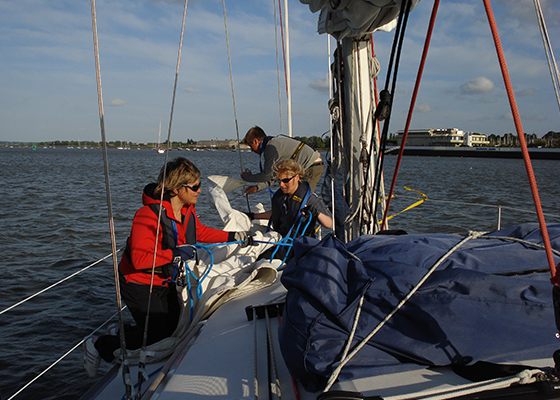 For further details see the individual pages for the day skipper theory course and the day skipper practical course. Start and finish at Chatham. Saturday to Tuesday. 09:00 – 17:00. Classroom. Day Skipper Theory. Homework in the evenings. Non-residential. Tuesday 18:00 to Sunday 15:00. Day Skipper Practical. This element is a live-aboard course.